Charlie Siem: "Music is about sharing and healing." On February 5, violinist Charlie Siem takes the stage at London’s Cadogan Hall for a one-night-only concert to benefit The International Network for Cancer Treatment and Research (INCTR), TUCCA, and The Children at Risk Foundation (CARF-UK). Siem’s concert is part of TUCCA’s ongoing Music for a Cure concert series, which has traveled internationally, and comes to the UK for the first time in collaboration with INCTR and CARF-UK. Siem chats with us about playing music for a cause. What do you find to be unique about preparing a concert for charity? It adds a dimension to the occasion; the cause is one that I believe in, and have seen in operation, so I understand the benefit it has. Also, music is about sharing and healing so when it is supporting such a worthwhile cause, it can add an intensity to the meaning that the audience might derive from the experience. What about these organisations inspired you to plan this concert? I visited the care centres outside São Paolo last May and was moved by the work that is being done there for children with cancer. Dr. Epelman is also an inspiring man who is devoted to this charity, TUCCA, and I like to support in any way I can. What kind of music will you bring to Cadogan Hall? The program will be varied, from Bach to Debussy, including some fun and beautiful violinistic works in the second half. Do you have any favourites on this programme? Every piece I play has to feel like my favourite to allow me to be convincing! What advice do you have for your colleagues who want to do more charitable work with their craft? My advice is to choose causes that they believe in and think they can make a difference to by helping. To remember how lucky we are to make music and share it with the world. 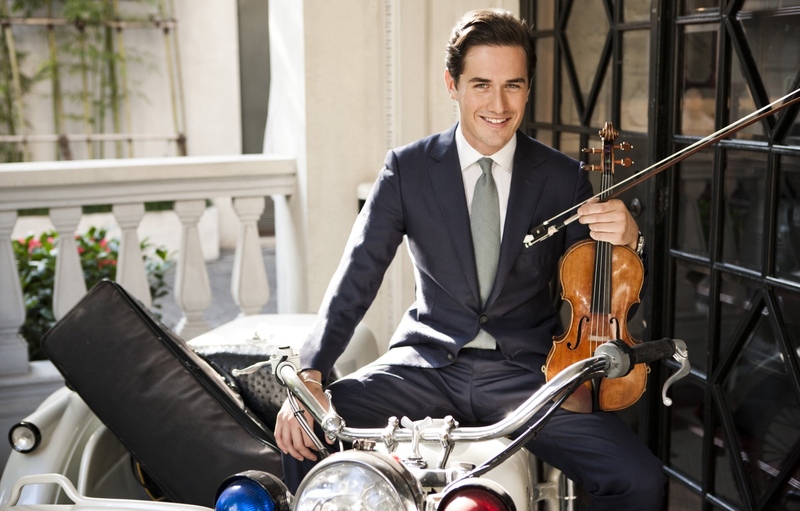 Charlie Siem’s Cadogan Hall concert happens 5 February at 7:30pm. For details and ticket information, click here.